We’re very happy to bring you a 100-minute Tune Me What? special to mark the New Year. We let our hair down and play some of the greatest South African party music. It was a very special show for us because for the first time we were in the same studio, in the same time zone! We had a blast, as you’ll hear from the unedited and goonish back-announcing! So! Happy New Year, from us at Tune Me What and we hope to catch up with you soon with a brand new season! 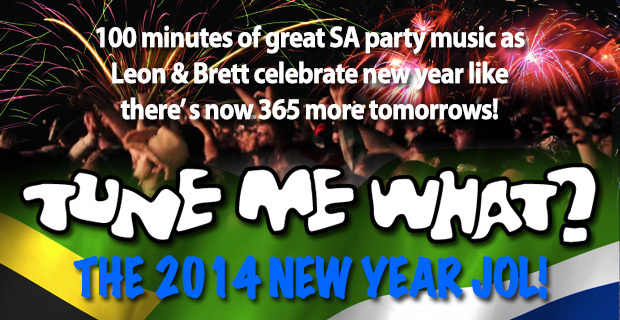 Enjoy the Tune Me What New Year show with 100 mins of great, party-perfect South African music! 31 December 2014 EpisodeTune Me What?